Simon, who has owned, operated and driven his familiar black, silver and blue LSR No. 24 with support from primary sponsor Mt. Baker Vapor for the past five years will switch to BMP’s black, green and blue No. 1 beginning this week at the Gateway Dirt Nationals. The Best Performance Motorsports Super Late Model team based out of St. Marys, Ohio has competed full time with the Lucas Oil Late Model Dirt Series since 2016. The newly formed open wheel team will operate out of Simon’s Indianapolis shop. A full Sprint Car schedule and additional Midget events will be released at a later date. The Gateway Dirt Nationals is held in The Dome at America’s Center in St. Louis, Missouri and features the largest indoor dirt track in America, with a semi-banked 1/5 mile dirt surface. 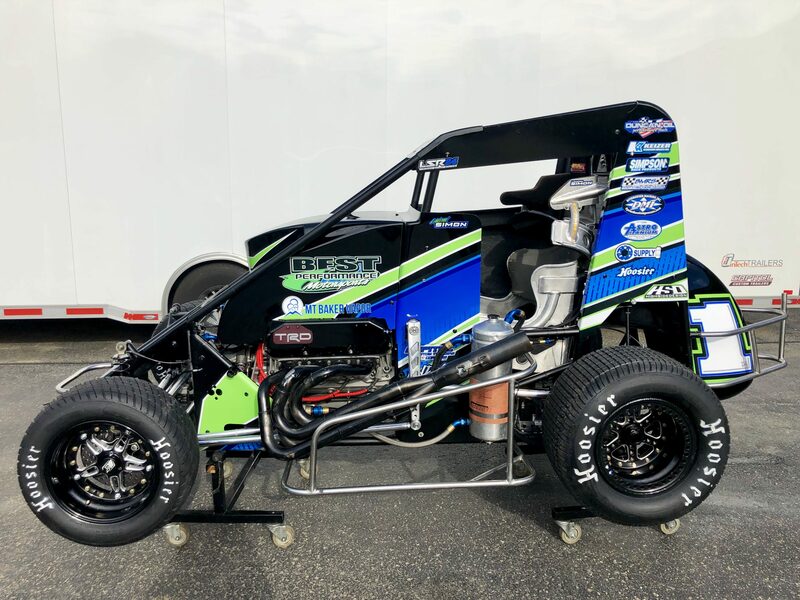 The temporary oval within the 67,000-seat stadium on the Mississippi River will see midget racing for the first time ever this week. “I can’t wait to debut this new partnership at Gateway. Last year we worked with event promoter Cody Sommer and did some testing at The Dome. The atmosphere in there is unreal. I can’t thank him enough for giving us another great event,” added the 29-year-old Sprint Car driver. 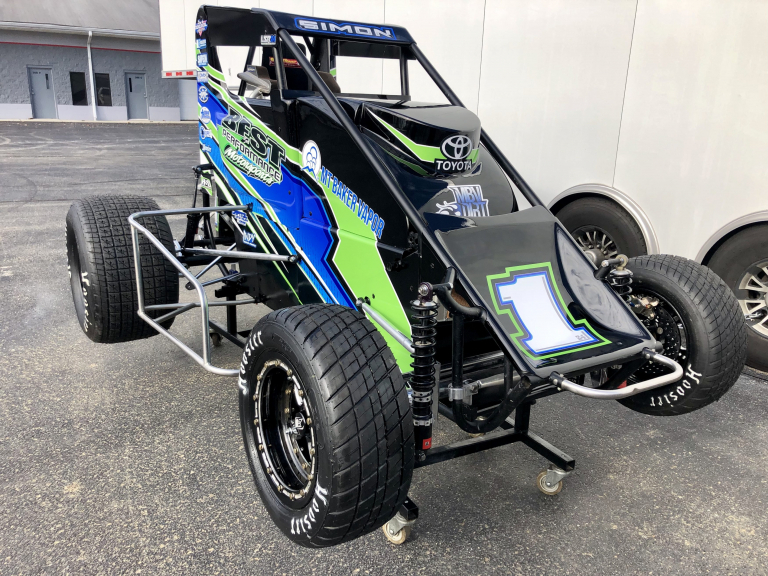 At Gateway, Simon will drive the Best Performance Motorsports, Mt Baker Vapor, Toyota-powered Triple X. LSR partners Duncan Oil Company, Simpson Race Products, Keizer Aluminum Wheels, BMRS, Astro Titanium, DMI, Rod End Supply, Hoosier Tire and High Side Design will continue their support in 2019.